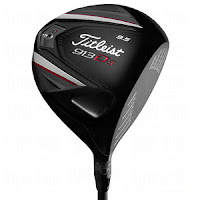 After trying some of the hottest drivers from the new Nike VR_S Covert to the latest Titleist 913D3 at the Westchester County Golf Show, it is apparent that these golf clubs were not necessarily created for golf beginners but for players who have had a bit of experience connecting with the ball (think Tiger Woods, Rory McIlroy). That being said, Golf for Beginners compiled a short list of drivers and golf clubs that are easier for beginners to feel confident about using on the golf course. Although golf equipment guides throughout the internet rate the overall best golf drivers for 2013, which golf clubs should make its way into a beginners bag? Here are several choices newbies should consider before making this all-important purchase. 1. 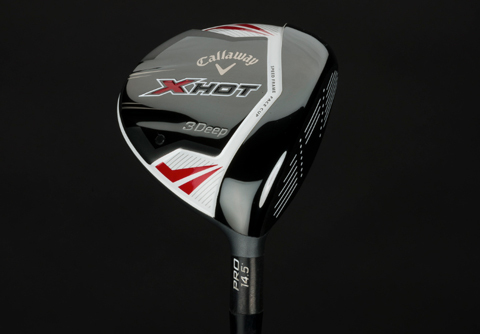 Although not a driver, the Callaway X Hot 3Deep Fairway Wood is a great alternative for golf beginners who are not quite ready for a driver but want the distance associated with it. Phil Mickelson wanted a club that was playable off the ground and easy to hit in lieu of a driver, hence the #3Deep was born. Watch for the Callaway X Hot 3Deep at The Masters inside Phil's bag. 2. The Ping G20 Driver is stable, has a low center of gravity and, as Golf Digest mentioned in a Hotlist review, "It exudes compassion...In a word, they’ve designed confidence." Confidence is just what a beginner needs! The Ping G25 Driver, like it's G20 predecessor, is the new Ping entrant tested by Golf Magazine and is considered very forgiving and hits very straight.I tried it and liked the light weight. Some golfers (me included) noted that the head might be a little too large...and, with it's three-way adjustability feature, the G25 just might confuse beginners. 3. Cobra AMP Cell Drivers were rated easy-to-play on the golf course, super-accurate with impressive yardage. Some guys who tested it for Golf.com even thought that the color "encouraged proper alignment at address". Beginners... always remember to G.A.S.P. before hitting any shot...one of my beginner lessons. This is, by no means, the definite beginners guide to the best golf drivers currently on the market, just suggestions meant to encourage newbies in a burgeoning market filled with golf clubs of all shapes, sizes and adjustments. When searching for a driver, beginners should consider "game-improvement" drivers, the loft of the golf club giving thought to head size, grip, shaft length and flex. As a beginner, I would stay away from adjustable heads or any other adjustments (neutral, open face, etc), until you are more comfortable hitting the club and forge a better understanding of your game. And yes, these clubs DO come in left-handed models! Which golf drivers do you depend on? Voice your opinion on Twitter @Golf4Beginners and on our Facebook page. Check out Which Golf Irons Are Best for Beginners? Great stuff here! This is one of my favorite golf websites there is! Thanks for the post, and I've been looking at different golf websites to see what kind of drivers they have, and they all seem to differ in price. So I was wondering what a good decent price would be to pay for a beginner driver? I know it isn't listed here, but I just purchased the R1 Driver and I can tell you that for the first time in my life, I was able to use a driver strategically for different holes! Imagine that…you can set the driver to perform at different lofts based on the hole you’re playing. I think it would be a great driver for a beginner golfer because you can actually adjust it so it's perfect for you and your swing! I also found it at a discount at www.gottalovegolf.com in case anyone is interested. Great stuffs For the beginners . This blog is always helpful! Very good post and I really appreciate your efforts to write this post. Please share like this posts in future too. Great article for the beginners like us . I am a new in this game and enjoying the adventure.